Durable, built to last with no exposed hardware. Safe, rounded edges. 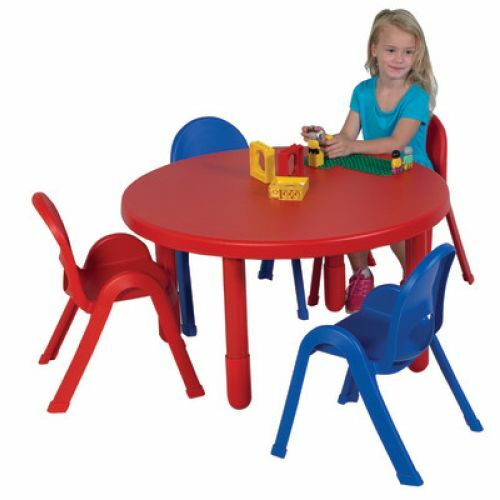 Easy-to-clean surfaces. Protective boots help prevent sliding and reduce noise. 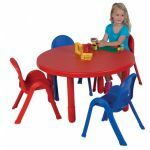 Includes your choice of red or blue table plus 4 chairs, one each red, blue, green and yellow. 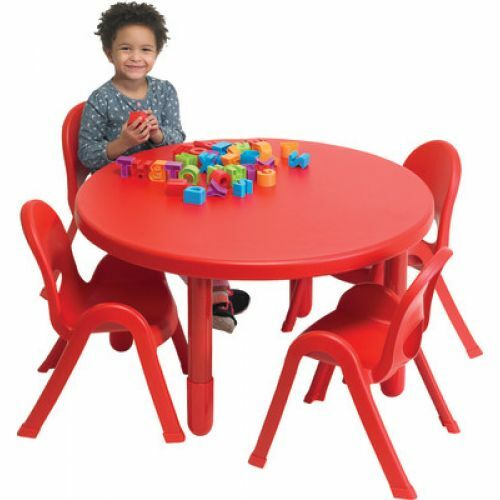 Table: 12"H Chairs: 5" Seat Ht.